Beautiful dress from AX PARIS. The dress has an accentuated waist and a lovely, patterned fall, perfect for festive occasions. 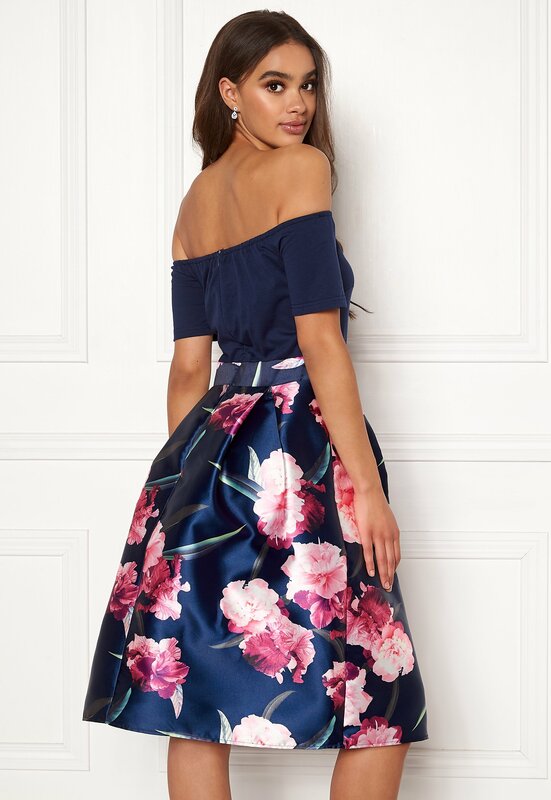 - Nonstretch, woven skirt - Stretch upper - Off-the-shoulder style - Concealed back zipper - Wide skirt Center back length 93 cm in size S (UK10). 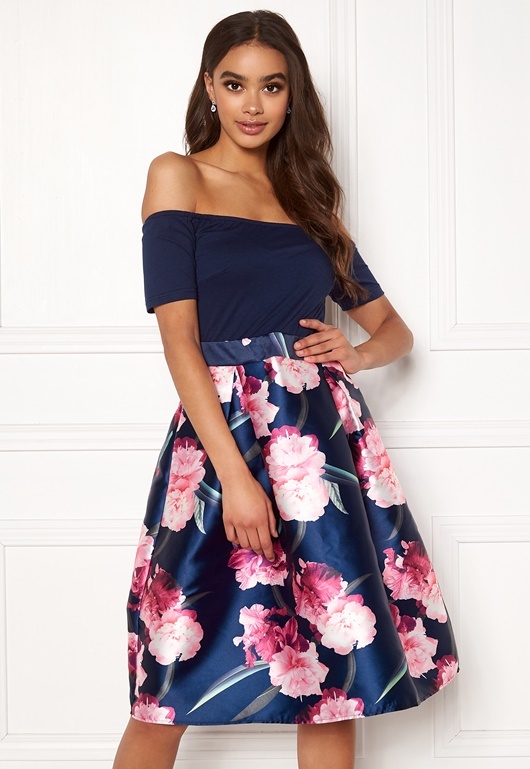 The model is 175 cm tall and wears a size S (UK 10). Handwash only.